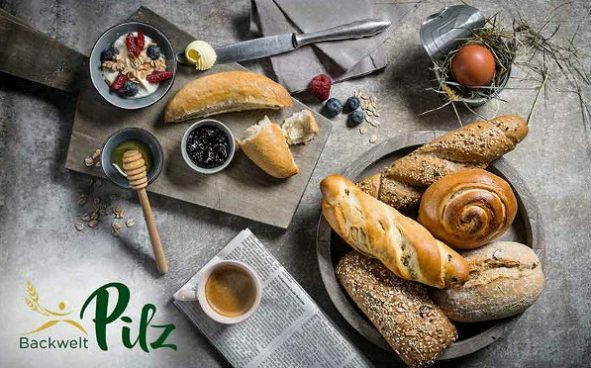 For years, Backwelt Pilz GmbH, a manufacturer of innovative, high-quality frozen bakery products, run an IT infrastructure with KVM hypervisor and a bare metal server, which was no longer up to date and needed to be renewed. Also the services they used were outdated and needed an appropriate update to latest technology. The same was true for the many versions of various e-mail applications. They didn‘t have a central e-mail client. As backup they used two independently running backup solutions. This whole structure was not really optimal for IT management as it required a lot of administrative work and held risks in case of a disaster. The company wanted to achieve a high degree of business continuity with business-critical information always being available. They also planned to restructure and centralize the IT network to increase flexibility, security and availability. To increase failsafe performance, they needed to migrate the existing KVM VMs and the bare metal ERP server to a Proxmox cluster. They also wanted to change the e-mail system so that classic groupware features such as shared calendar and the new e-augmenting teamwork features (web meetings and ownCloud integration) are available. In addition, they required the same mail clients (versions) for all users. All of this should be implemented under one central, standardized backup solution that protects the data, allows centralized management and provides a rapid granular restore to business continuity, including single item restore in the groupware solution. To achieve the desired failsafe performance at Backwelt Pilz, they installed the open source virtualization platform Proxmox. Proxmox ensures that the network can continue to work productively even if one server fails. The existing servers based on Univention Corporate Server (UCS) were migrated and updated. Zarafa, the existing groupware, was migrated to Kopano. As an e-mail client solution, they rolled out the Kopano Desk app company-wide. By transferring the existing groupware data to the Kopano system, they ensured that users could continue using their data as usual. The new solution is based on the central Fujitsu ETERNUS DX100 storage and a server cluster (two Fujitsu RX2530 M2) with automatic failover. The existing Fujitsu RX300 has been enhanced with the functions of a central backup and cluster management server. Siedl Networks, the partner of our customer Backwelt Pilz, also proposed SEP sesam for the consolidation of the backup solutions in order to simplify management and increase data security. Siedl Networks GmbH is a longtime and experienced partner, who focuses on the development of heterogeneous IT solutions with open source technologies and IT services. With SEP sesam, Backwelt Pilz introduced a complete, centralized backup solution that can reliably back up and restore everything. For that, they implemented, among other things, additional software agents from SEP sesam for Kopano, Microsoft SQL Server, MySQL, MariaDB, etc. 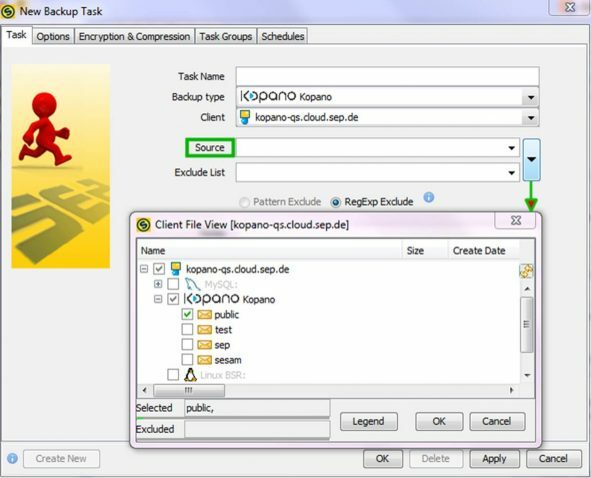 Using the Kopano agent from SEP, it is now possible to restore individual elements such as e-mails and contacts from the backup. The data and databases are backed up with SEP sesam using the Backup2Disk and Disk2Tape procedure. The data is first written to a NAS storage system and then backed up to tape. To monitor the backups, they connected the backup server to the backup monitor from Siedl Networks. In case of failure, Siedl Networks‘ technician team will be informed immediately and can intervene quickly and specifically. The combination of the products SEP sesam, Proxmox, Kopano and Univention Corporate Server has led to high reliability and data security standards. With the renewal of the IT landscape and the consolidated, central data backup solution SEP sesam, the company has achieved a massive increase in data security and is now well equipped for the future. “The investment in the new hardware and software solution pays off daily, ensuring us security and flexibility for the future,” explains Markus Sitz, Head of the Information Technology at Backwelt Pilz. With the SEP sesam Hot Backup modules, SEP reliably and consistently secures all components of the UCS platform (LDAP, mail programs, administration services and file sections) during operation. Our software is available in the Univention App Center and can be installed on UCS as a backup server or backup client. Our long-term partnership with Univention is characterized by intensive cooperation, which is a guarantee for high-performance solutions “Made in Germany”. The UCS@school platform in combination with SEP sesam provides a turnkey concept for school environments. In addition, SEP sesam Hybrid Backup and Disaster Recovery is the ideal solution for heterogeneous IT infrastructures in enterprises and organizations – from medium-sized businesses to large enterprises. It supports all operating systems, virtualization platforms, databases and applications – up to SAP. It is the only backup software certified for SAP HANA on Intel and IBM Power platforms as well as SAP NetWeaver and at the same time attractively priced. For more information on deploying Univention, Kopano & SEP sesam please see our web site and contact CustomTech (email info@customtech.com.au or call) to arrange a FREE evaluation and discuss your needs. (This article is based on the original article by Andreas Mayer on the Univention site).